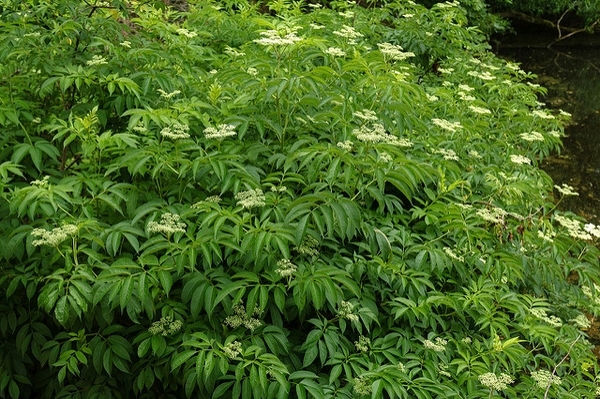 A tall suckering deciduous landscape shrub good for borders, screens, backgrounds, hedges, stream/pond peripheries or low spots. 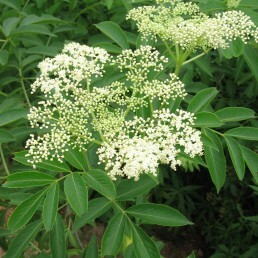 Sambucus canadensis is a deciduous suckering shrub that grows 5-12’ tall. 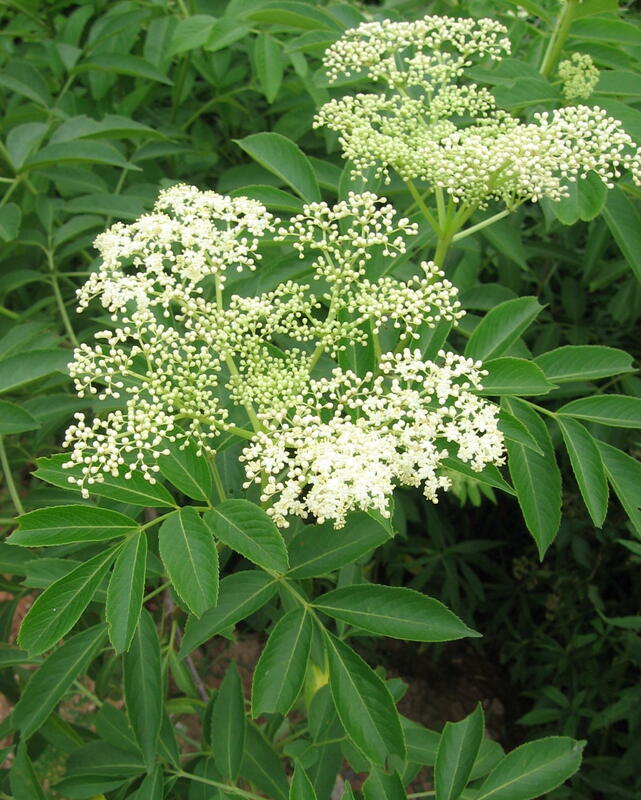 It has tiny lemon-scented attractive white flowers which give way to clusters of interesting black elderberry fruits in late summer. 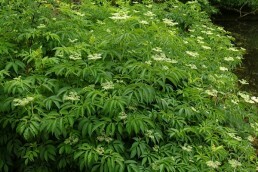 Effective used in a group or mass where its suckering habit may be helpful.